A One-Page Quick Review-Chapter 31 may help with exams. Source Quick Economics Notes 2/4/19 Please link to, use to educate, and share. IX. Is Middle Class in Economic Crisis? I. 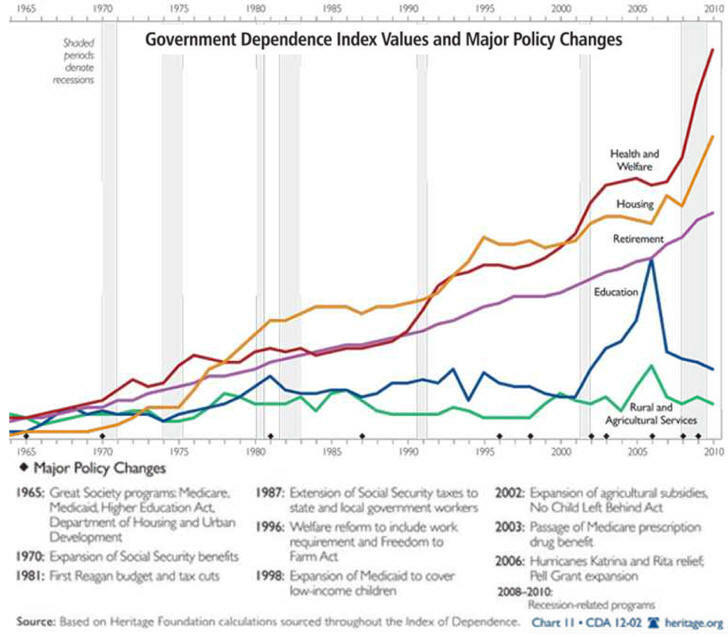 Government Subsidies Provide Externality Benefits at a Cost. with industry's desire for increased economic rent. F. The Next Big Problem? 2. U.S. Political Economy Controversies Who should be helped? 9. Is Financial Aid Welfare? Is Wage Stagnation a Causes? Can Wage Stagnation Be Solved? increase taxpayer demand by the taxpayers' marginal tax rate. b. 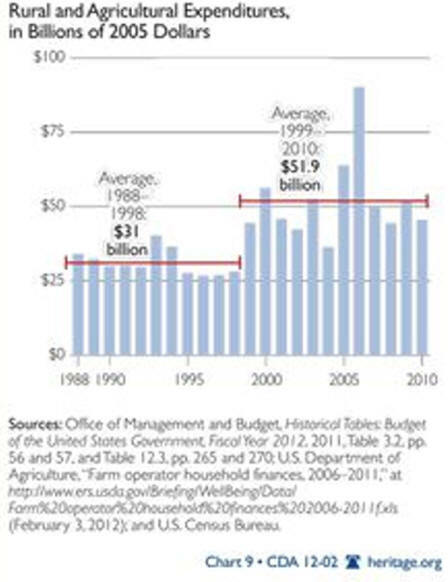 Government supports industries like defense and agriculture with large purchases. supports export industries, have similar effects. this increase in marginal cost. 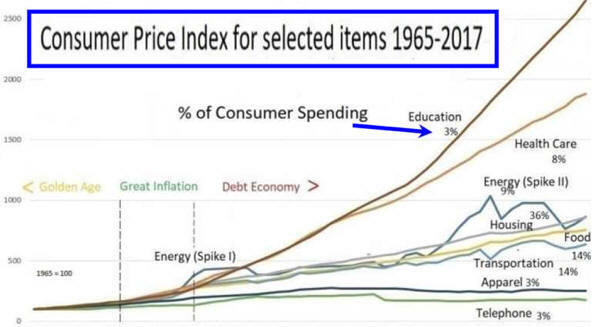 Since the Great Inflation of the 1970s, education, medical and energy sector monopolies in the restricted supply, while demand grew causing consumer prices to inflate (see figure) more than wages have risen. a tenth of housing and agriculture cost. 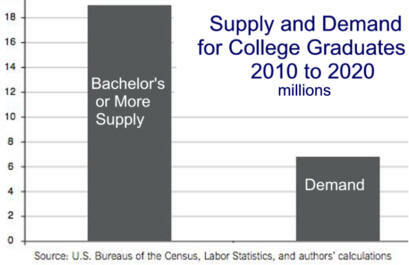 78 percent of higher education. A substantial amounty of revenues. while four-year colleges up 50%. medicine with the passage of Medicare and Medicaid. "If businesses are having trouble attracting skilled workers, then they should increase pay until it becomes worthwhile for people to acquire the requisite skills. The Law of Supply holds for labor markets: people want to earn more money, so they will acquire in-demand skills if the price is right. If tuition is too expensive, then companies must increase pay until paying it becomes worthwhile for the student. We see this phenomenon at all degree levels: medical school is expensive, but people are willing to borrow for it because being a doctor pays well. However, Kentucky�s free college helps businesses skirt the Law of Supply. Rather than increasing pay to make learning skills worthwhile for workers, businesses will simply allow taxpayers to shoulder the costs of training. It�s corporate welfare by another name. See Why is Poverty Controversial? quantity demanded decreases as income increases. 4. Supply is volatile because of the weather. 5. 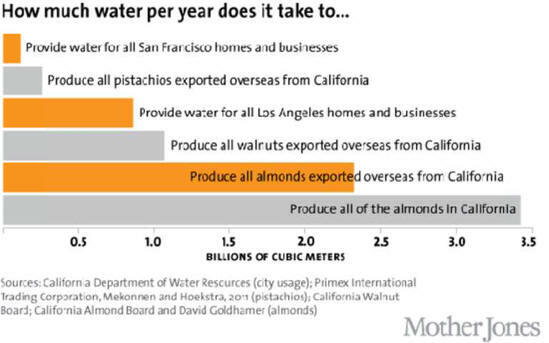 Technology has caused supply to increase substantially. and resulting revenue to fluctuate considerably. from 1910 to 1914 as a base. a bushel of corn would always buy a toothbrush. 2) Direct purchase and storage. more rapidly than prices received. 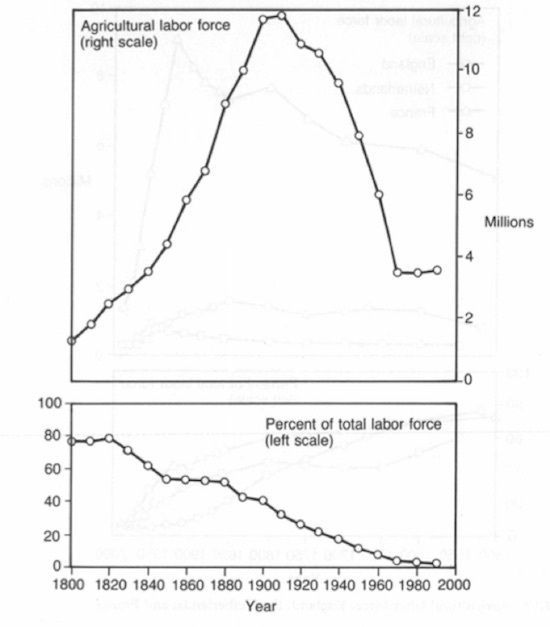 and the industrialization of agriculture. higher prices and a surplus of production. economic rent need to be addressed. 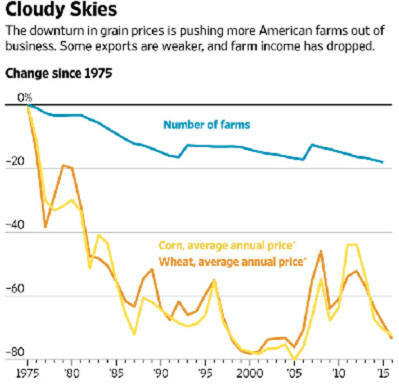 subsidies designed to keep farm prices high. purchased by the average American family of four. 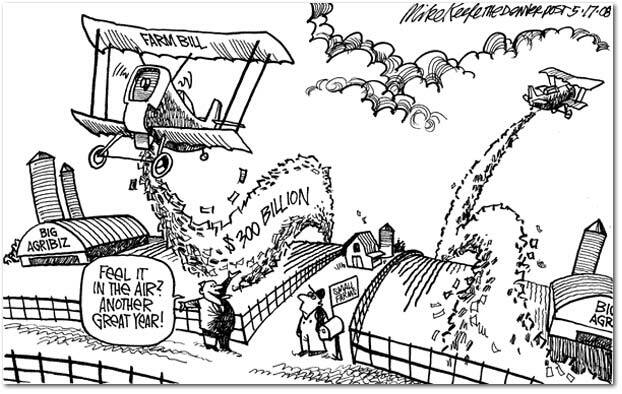 "Farmers will receive twice as much of their income from handouts (25%) this year as they did in 2013, according to the USDA � big farmers snare the vast majority of federal handouts. According to a report released this year by the Environmental Working Group � �the top 1 percent orm subsidy recipients received 26 percent of subsidy payments between 1995 and 2014." 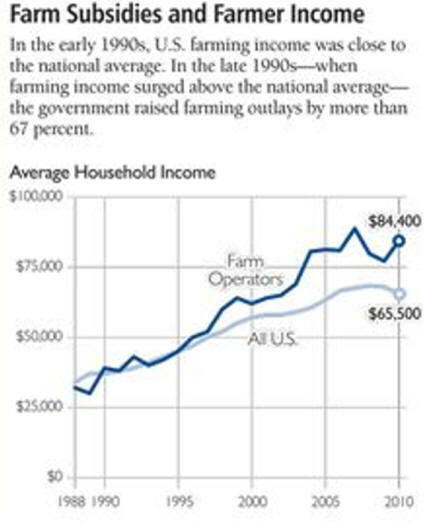 The group�s analysis of government farm-subsidy data also found that the �top 20 percent of sub Fifty members of the Forbes 400 list of wealthiest Americans have received farm subsidies recipients received 91 percent of all subsidy payments." , according to the group, including David Rockefeller Sr. and Charles Schwab." 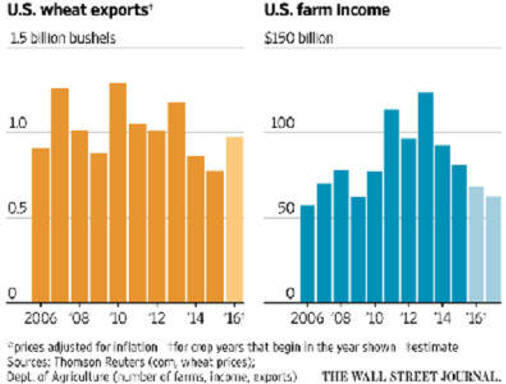 The Next American Farm Bust Is Upon U.S.
of the economy�worsened yet again in 2010 and 2011. "Naturally, these values aren't spread evenly within the states themselves, either. 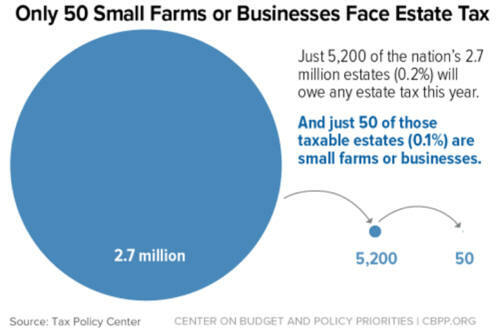 Areas that are more rural and reliant on agriculture will tend to be net tax receiver areas both because farmers and ranchers receive a lot of government subsidies, and also because agricultural work tends to have lower productivity than urban work. 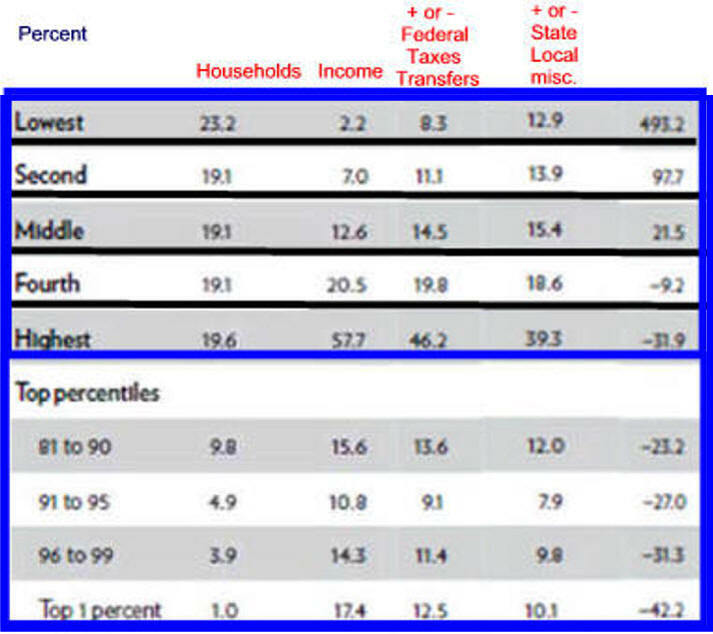 Nationwide, the tax-spending ratio is not one dollar, but it about $1.20. 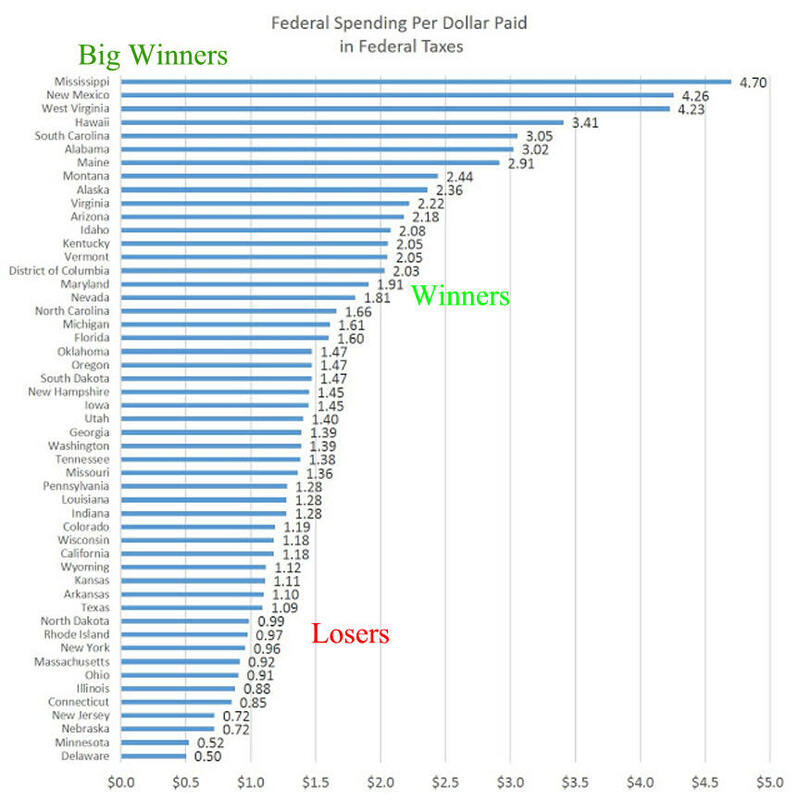 So, states that are getting around $1.20 back for every dollar extracted in taxes are really just at the national average." to welath would be interesting. This article has been tagged since February 2007. In standard supply and demand curve diagrams, a subsidy will shift either the demand curve up or the supply curve down. A subsidy that increases production will result in a lower price while a subsidy that increases demand will tend to result in an increase in price. Both cases result in a new Economic equilibrium. Therefore it is essential to consider elasticity when estimating the total costs of a planned subsidy: it equals the subsidy per unit (difference between market price and subsidized price) times the new equilibrium quantity. One category of goods suffers less from this effect: Public goods are � once created � in ample supply and the total costs of subsidies remain constant regardless of the number of consumers; depending on the form of the subsidy, however, the number of producers demanding their share of benefits may still rise and drive costs up. The recipient of the subsidy may need to be distinguished from the beneficiary of the subsidy, and this analysis will depend on elasticity of supply and demand as well as other factors. For example, a subsidy for consumption of milk by consumers may appear to benefit consumers (or some subset of consumers, such as low-income households); but if supply of milk is constrained and results in higher demand and higher prices, the milk producer may benefit and the consumer may derive no net gain, as the higher prices for milk offset the subsidy. The net effect and identification of winners and losers is rarely straightforward, but subsidies generally result in a transfer of wealth from one group to another (or transfer between sub-groups). Subsidy may also be used to refer to government actions which limit competition or raise the prices at which producers could sell their products, for example, by means of tariff protection. Although economics generally holds that subsidies may distort the market and produce inefficiencies, there are a number of recognized cases where subsidies may be the most efficient solution. In many instances, economics may (somewhat counter-intuitively) suggest that direct subsidies are preferable to other forms of support, such as hidden subsidies or trade barriers; although subsidies may be inefficient, they are often less inefficient than other policy tools used to benefit certain groups. Direct subsidies may also be more transparent, which may allow the political process more opportunity to eliminate wasteful hidden subsidies. This problem - that hidden subsidies are more inefficient, but often favored precisely because they are non-transparent - is central to the political-economy of subsidies. Examples of industries or sectors where subsidies are often found include utilities, gasoline in the United States, welfare, farm subsidies, and (in some countries) certain aspects of student loans. There are many different ways to classify subsidies, such as the reason behind them, the recipients of the subsidy, the source of the funds (government, consumer, general tax revenues, etc). 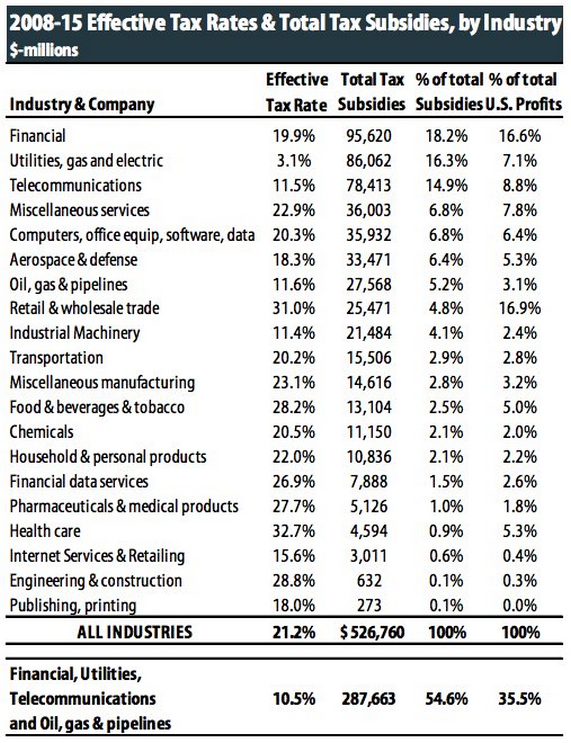 In economics, one of the primary ways to classify subsidies is the means of distributing the subsidy. In economics, the term subsidy may or may not have a negative connotation: that is, the use of the term may not be prescriptive but descriptive. In economics, a subsidy may nonetheless be characterized as inefficient relative to no subsidies; inefficient relative to other means of producing the same results; "second-best", implying an inefficient but feasible solution (contrasted with an efficient but not feasible ideal), among other possible terminology. 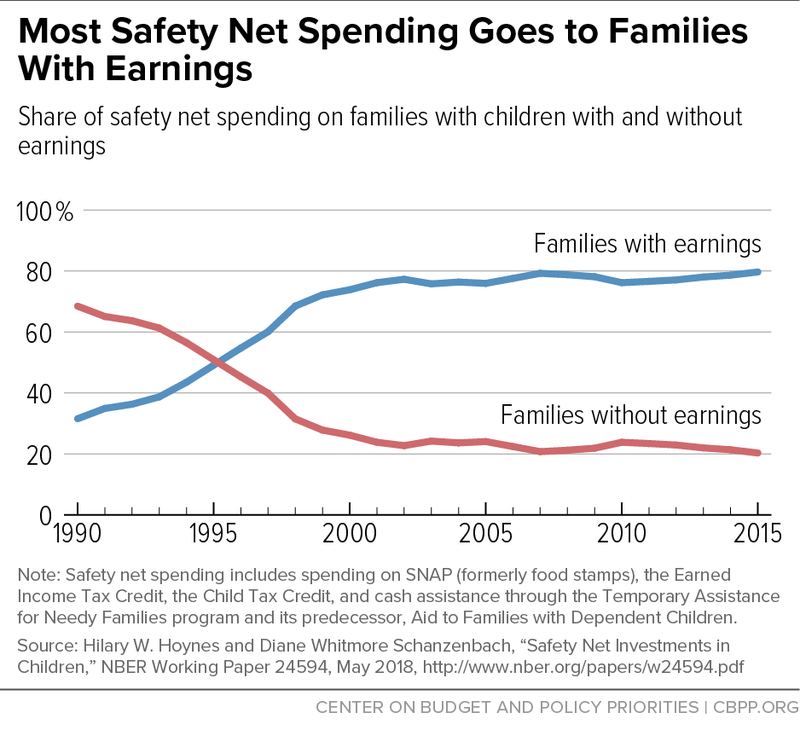 In other cases, a subsidy may be an efficient means of correcting a market failure. For example, economic analysis may suggest that direct subsidies (cash benefits) would be more efficient than indirect subsidies (such as trade barriers); this does not necessarily imply that direct subsidies are good, but that they may be more efficient or effective than other mechanisms to achieve the same (or better) results. Insofar as they are inefficient, however, subsidies would generally be considered by economists to be bad, as economics is the study of efficient use of limited resources. Ultimately, however, the choice to enact a subsidy is a political choice. 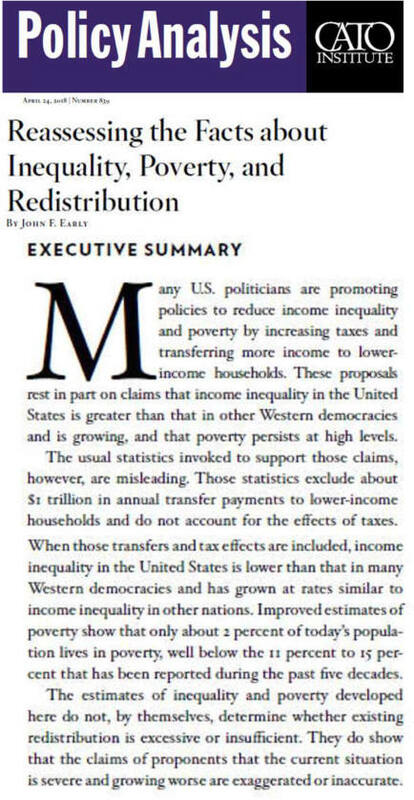 Note that subsidies are linked to the concept of economic transfers from one group to another. Economics has also explicitly identified a number of areas where subsidies are entirely justified by economics, particularly in the area of provision of public goods. Direct subsidies are the most simple, and arguably the least frequently used citation needed]. They involve a direct cash transfer to the recipient, for example an unemployed person or an agricultural corporation. Indirect subsidy is a term sufficiently broad that it may cover most other forms of subsidy. The term would cover any form of subsidy that does not involve a direct transfer. A tax subsidy is any form of subsidy where the recipients receive the benefit through the tax system, usually through the income tax, profit tax, or consumption tax systems. Examples may include tax deductions for workers in certain industries, accelerated depreciation for certain industries or types of equipment, or exemption from consumption tax (sales tax or value added tax). In certain cases (to encourage the development of a particular industry, for example), governments may provide direct production subsidies - cash payments for production of a given good or service. Frequently, production subsidies are less easily identifiable, such as minimum price policies. Indirect production subsidies may be less easy to identify, such as infrastructure subsidies. Policy may directly or indirectly favor one industry, company, product, or class of producer over another by means of regulations. For example, a requirement that full-time government inspectors (at company expense) be present to inspect meat may favor large producers; conversely, if small producers were not required to undergo meat inspections at all, this may constitute a subsidy to that class of producer. 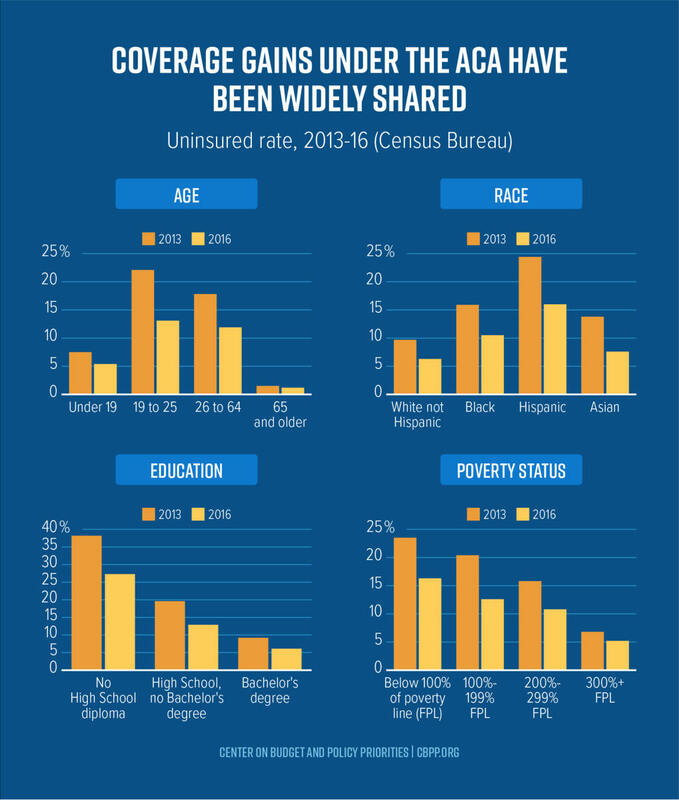 It may not be evident or clear that there is a subsidy in many cases. Infrastructure subsidies may be used to refer to a form of indirect production subsidy, whereby the provision of infrastructure (at public expense) may effectively be useful for only a limited group of potential users, such as construction of roads at government expense for a single logging company. The implication is that those users or industries benefit disproportionately from the provision of that infrastructure, at the expense of taxpayers. In some cases, the "subsidy" may refer to favoring one type of production or consumption over another, effectively reducing the competitiveness or retarding the development of potential substitutes. 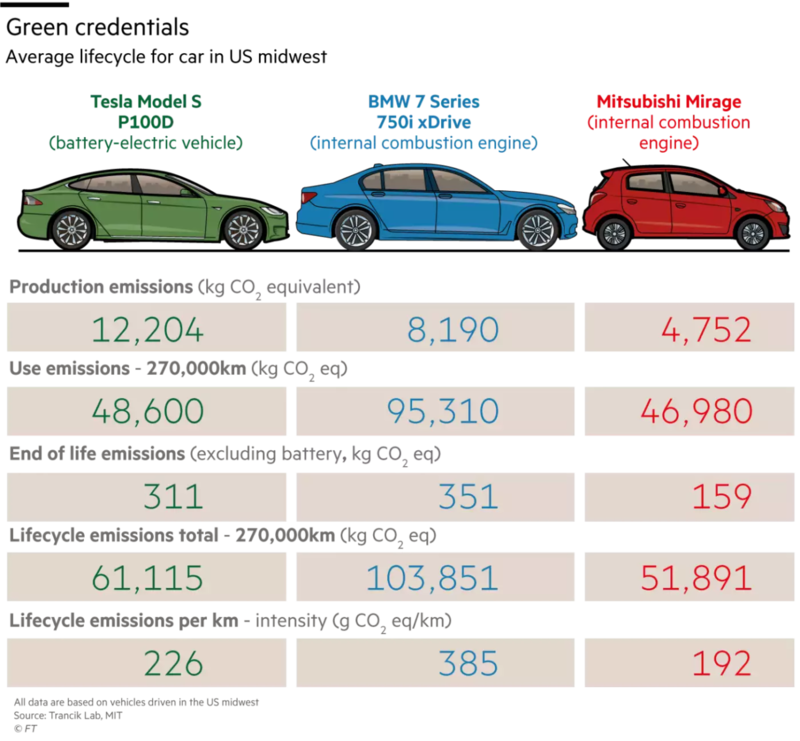 For example, it has been argued that the use of petroleum, and particularly gasoline, has been "subsidized" or favored by U.S. defense policy, reducing the use of alternative energy sources and delaying their commercial development. Measures used to limit imports from other countries may constitute another form of hidden subsidy. The economic argument is that consumers of a given product are forced to pay higher prices for a given good than they would pay without the trade barrier; the protected industry has effectively received a subsidy. Such measures include import quotas, import tariffs, import bans, and others. Governments everywhere are relatively large consumers of various goods and services. Subsidies may occur in this process by choice of the products consumed, the producer, the nature of the product itself, and by other means, including payment of higher-than-market prices for goods purchased. Governments everywhere provide consumption subsidies in a number of ways: by actually giving away a good or service, providing use of government assets, property, or services at lower than the cost of provision, or by providing economic incentives (cash subsidies) to purchase or use such goods. In most countries, consumption of education, health care, and infrastructure (such as roads) are heavily subsidized, and in many cases provided free of charge. In other cases, governments literally purchase or produce a good (such as bread, wheat, gasoline, or electricity) at higher prices than the cost of sale to the public (which may require rationing to control the cost). 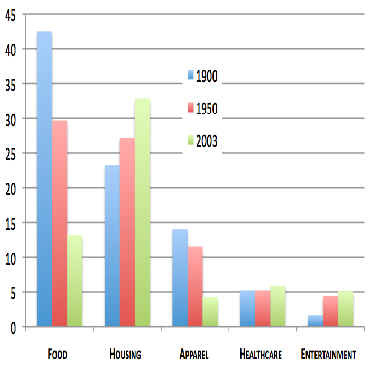 The provision of true public goods through consumption subsidies is an example of a type of subsidy that economics may recognize as efficient. In other cases, such subsidies may be reasonable second-best solutions; for example, while it may be theoretically efficient to charge for all use of public roads, in practice, the cost of implementing a system to charge for such use may be unworkable or unjustified. of users, such as large utilities, residential home-owners, and others. As previously stated, a common form of subsidy is via a tax break. This is a reduction in the normal rate of a particular class of taxes targeted towards an individual or group of companies. Often this is described as "corporate welfare", although that term is also used as a blanket term for all other forms of subsidies. Larger companies who are planning to open a new factory, for example, shop around for a location which will provide them with the biggest tax breaks in a process called a race to the bottom. 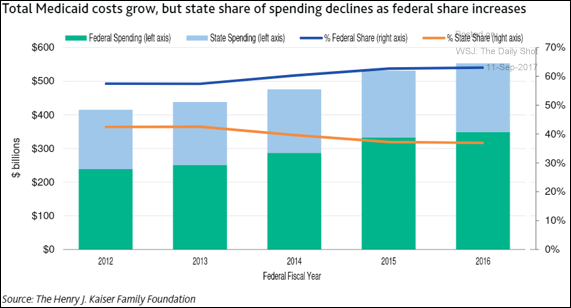 Locations provide these tax breaks because they often feel that the benefits of job creation will more than offset the decline in tax revenues. Governments of all levels may do this to encourage employment in under-developed areas. Subsidies are given as protection to smaller producers to help them compete with larger companies, to help correct international trade imbalances, to aid industry deemed critical to national security, and to help industry compete with other countries - due to subsidies being common practice throughout the world. To some, another way that the government subsidizes industry is by failing to regulate externalities. For example, when a company pollutes, it generates savings for itself at public expense, in the form of environmental degradation and public health costs. Thus a cost of production is absorbed by the public. Some individuals argue that this is a form of subsidy of producers (since producers are not paying the full social cost of production). Even where such externalities exist, it is unclear what the most effective way of compensating for the problem is: traditional economic theory suggests that "internalizing" the costs (to the extent possible) is most efficient. It is unclear, however, whether not compensating for externalities (by internalizing costs, regulations, Pigouvian taxes or other means) amounts to a subsidy. Another form of subsidy is due to the practice of a government guaranteeing a lender payment if a particular borrower defaults. This occurs in the United States, for example, in certain airline industry loans, in most student loans, in small business administration loans, in Ginnie Mae mortgage backed bonds, and is alleged to occur in the mortgage backed bonds issued through Fannie Mae and Freddie Mac. A government guarantee of payment lowers the risk of the loan for a lender, and since interest rates are primarily based on risk, the interest rate for the borrower lowers as well. One of the most controversial classes of subsidies, especially according to publications such as The Economist, are subsidies benefitting farmers in first-world countries. Charity institutions like Oxfam describe such subsidies as dumping millions of surplus commodities (like sugar) on world markets, destroying opportunities for farmers in developing and poor countries, especially in Africa. For example, the EU is currently spending �3.30 in subsidies to export sugar worth �1 Source: Oxfam briefing paper. These subsidies have remained in place even though many international accords have reduced other forms of subsidies or tariffs. A view, held by Austrian economists and other free-marketers, is that subsidies do, in general, more harm than good by distorting economic signals. Sometimes people believe profitable companies to be 'bullying' governments for subsidies and rescue packages, an example of rent-seeking behavior. For example,  in the case with Australian rail operator Pacific National, the company threatened the Tasmanian Government with a pull-out of rail services unless a subsidization was made. In the 15s the subsidy was a tax invented in England by Thomas Wolsey in 1513 that taxed based on the ability to pay. It was created in order that Henry VIII could pay for war with France while maintaining his lifestyle. 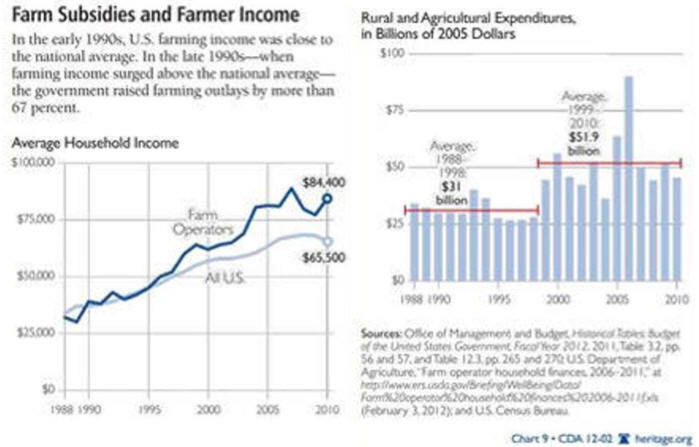 Ripe for Reform: Six Good Reasons to Reduce U.S. Farm Subsidies and Trade Barriers by Daniel Griswold, Stephen Slivinski, and Christopher Preble (September 5, 2005. 1. Savings enough to accumulate wealth requires sacrifice. Flat World local, U.S. winners are world winners. world-wide and an accumulate wealth over $300 million. Should Tea Party Share Its Debt Tea? Are America's Students Learning Less?